Car detailing is a meticulous process that involves a thorough cleaning and buffing of the car interiors as well as the exteriors. The hours spent on dusty, polluted roads harm the vehicles in more ways than one. Over time, the lustrous sheen of the newly minted cars give way to scratches, stains, chipped paint, cracked headlights, dull wheel rims and other unflattering consequences that undeniably bring down the resale value of the car. Detailing thus is needed to revert the cars back to its original grandeur by conditioning the insides and polishing every exposed surface. It is not always possible to drive on lanes and roads that are devoid of pot holes, mud tracks, snow and puddles of water nor is it feasible to cease driving everytime it rains in fear of it leaving behind stains. Protecting the cars with polish, wax and other products that keep the pollutants at bay is an option. The mobile auto detailing industry in Calgary offers a plethora of services and packages that assure complete detailing. Depending on the nature and age of the car along with the extent of the damage, the duration of the procedure is determined. Car Detailing centres allow highly customisable services to suit your needs and requirements. The cost-effective packages are designed keeping in mind specifications that are unique to each car and consecutively, their owners. For instance, the specialised services also enable you to ask for car polish, wax along with the conditioning of the floor mats. Clients are not required to stick to the prescribed services and instead opt for personalisation. 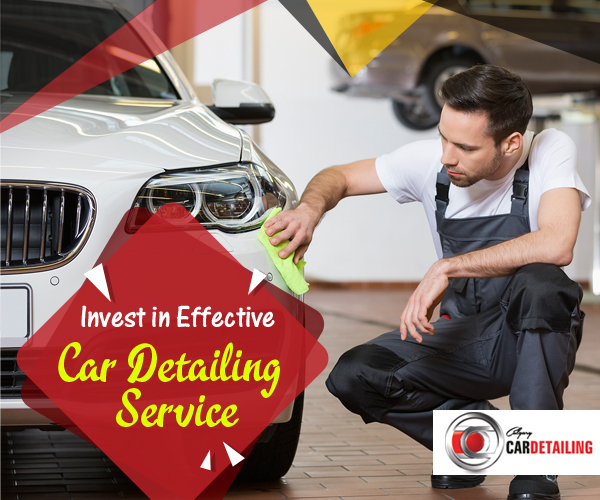 One of the most efficient features of car detailing centres is their prompt service. Drive your car up the driveway and have it picked up within a short span. From cleaning, polishing, rinsing, waxing to vacuuming, rest assured that your beloved automobile would be returned to you in no time in as a good a condition as new. Sparkly, brand new cars wane over time and are subjected to wear and tear. Taking good care of these hefty investments require a thorough detailing at frequent intervals. It goes without saying that used cars that remain in mint condition fetch a higher value. The windows, the windshields, headlights, tires, the interiors and every spare part that makes a car, can all be kept in pristine condition with proper detailing that ensure profitable returns. Calgary Car Detailing, one of the premier mobile auto detailing centres in Calgary, offers extremely cost-effective and optimised packages that look after all your car cleaning needs. Enlist their services at the earliest and pamper your car to the fullest.